UFO Alien Invasion is all about tactical strategies. In this game you are placed in charge of a group tasked with defending the planet from alien invaders. Combining elements of sci-fi with military strategy, it gives you complete control over your charges amidst all the challenges from the aliens. There are two gaming modes here: tactical or battlescape mode and geoscape mode. Geoscape mode demands strategy and you’ll be tasked with managing troops, aircraft, and bases, and you will also oversee the activities of your team. You also need to research and develop new technologies that you will use in battling the invaders. In Tactical mode you take command of a squad of soldiers and embark on various missions and fight the aliens where they pop up. You don’t send out armies over maps here, but just focuses on your team. Tactical mode is turn based, so the aliens and humans take turns in moving, maneuvering and attacking. What makes the game even more challenging is the presence of civilians that you have to rescue or avoid hitting. 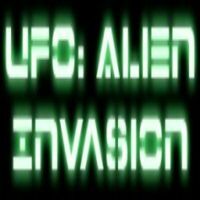 If you have played X-Com before, UFO Alien Invasion will appeal to you, as it has many features that make for an engaging strategy game. If you’re a fan of strategy games, don’t pass this one up.